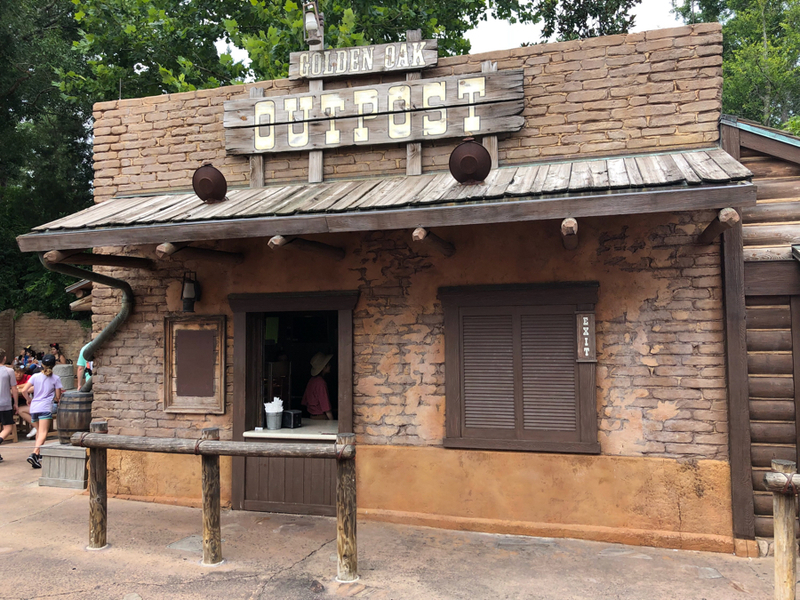 Located on the backside of Frontierland on the walkway to Adventureland, this walk-up stand serves chicken nuggets, desserts, and beverages. There are currently 2 reviews for Golden Oak Outpost. Read Full Golden Oak Outpost Reviews! You can also search for Golden Oak Outpost specific threads!